5 Islands of Indonesia. N.d. Photograph. USDAWeb. 27 Nov 2013. <http://www.pecad.fas.usda.gov/highlights/2007/12/Indonesia_palmoil/>. RAINFOREST LOCATIONS MAP. N.d. Photograph. Indonesian Rainforest FoundationWeb. 27 Nov 2013. <http://www.indonesianrainforest.org/indonesian-rainforest/rainforest-locations-map/>. Historically, Indonesia has been one of the world’s largest archipelagos, consisting of over 18,000 islands between the Pacific and Indian Ocean, and is home to the largest expanse of Rainforests in all of Asia. The Indonesian Rainforests hold the most crucial ecological stands of tropical rainforest in the world. Their extremely rich biodiversity in the world and keeping of affluent amount of carbon out of our atmosphere contribute to our environment significantly. The forests have 10% of the world's mammal species, 16% of bird species, and 11% of all plant species. In addition, the forests hold over 3,000 different types of timber. Moreover, their endemism level of 40 demonstrates the ecosystem contains unique plants/animal species. 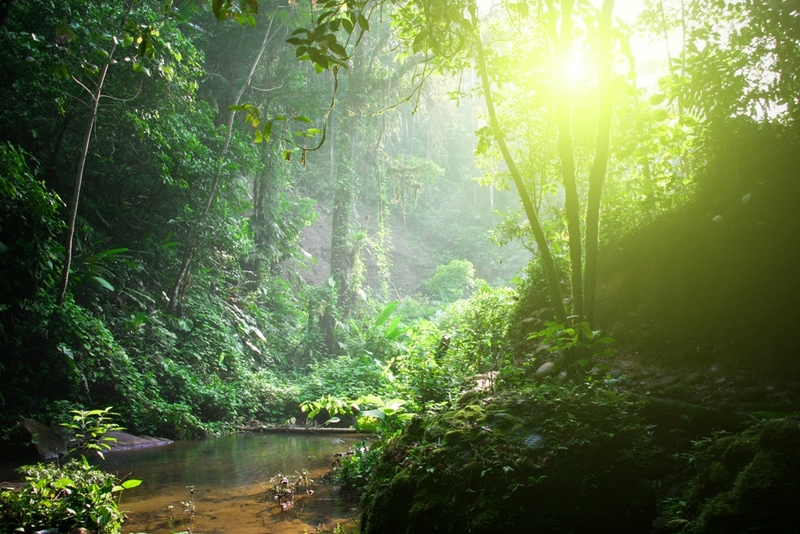 Indonesian Rainforest is a home for animals such as orangutans, tigers, elephants, and rhinos. 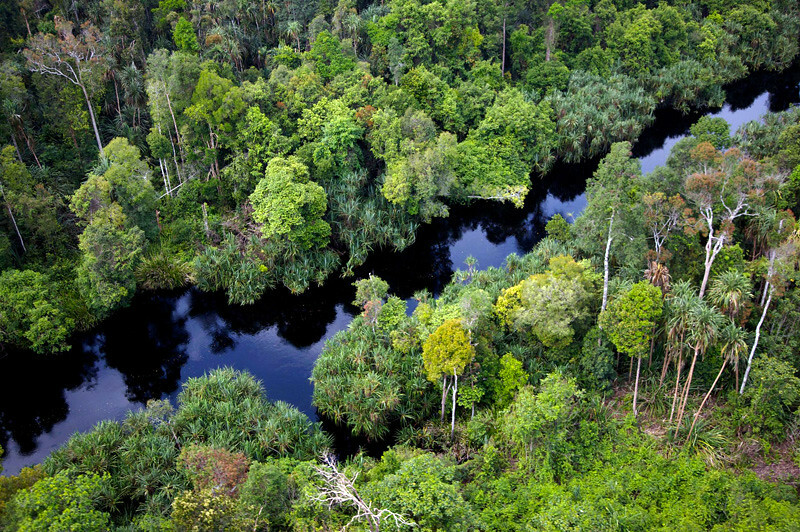 Indonesian Rainforests have a large carbon-storage capacity. Particularly, the peat in the region acts like a "carbon sponge" in addition to the trees. Photograph. Canopy: Transforming Business for our planet Web. 27 Nov 2013. 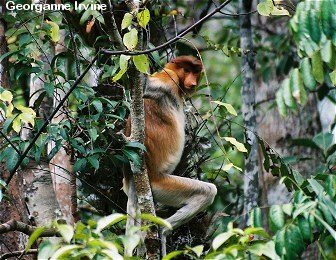 <http://canopyplanet.org/what-we-do/protecting-ancient-forests/indonesias-rainforests/>. Irvine, Georganne. Orangutans in Indonesian rainforests. N.d. Photograph. Orangutan Foundation International Web. 27 Nov 2013. Zamroni, Ahmad. Peatland in Indonesia. N.d. Photograph. The GurdianWeb. 27 Nov 2013. 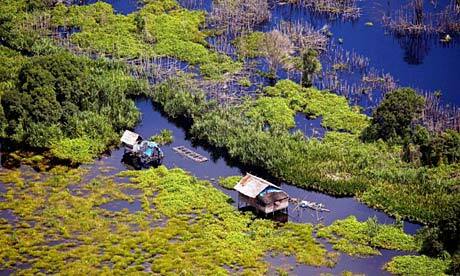 <http://www.theguardian.com/environment/2009/feb/18/indonesia-peat-palm-oil>. -Palm oil is only the second most profitable export for Indonesia, with rice paddy reigning first. -As the demand for nature-based tourism increases, Indonesian rainforests are assisting in generating higher numbers of revenue. In 2004, Indonesia received over 5.3 million visitors which led to a gain of nearly US $4.8 billion dollars and the numbers have only increased since then (1). The increase in attention towards these tropical paradises have also led to large attention towards critical environmental issues that can be found in these gorgeous location. Unfortunately, Indonesia’s rainforests have one of the highest rates of deforestation in the world. Due to the increasing demand for commodities such as palm oil, pulp, paper, and plywood, the rainforests have been dealing with rapid clearcutting, estimating over a million-2.8 million hectares lost annually. (2) The lands are rapidly being demolished due to the struggle between small-scale farmers seeking to support their families and livelihoods and international corporations who desire the goods, commodities and services that the rainforests provide. The rampant deforestation has already led to the loss of over an estimated 72% of the original clearing (2). The techniques implemented to clear the forests have led to high emissions of carbon dioxide into the atmosphere, as well as an increase in greenhouse emission due to the deforestation. Furthermore, the smoke from the slash-and-burn technique, has led to heavy pollution, with the heavy smoke often shutting down regional traffic, inducing public health alerts, and interfering with city life. The palm oil plantations and factories located near the rainforests have further damaged the territory with its usage of pesticides and factory run-off. How Can We Improve the Human Impacts on the Ecosystem? In order to reduce human impacts, which destroys the ecosystems, on Indonesian Rainforests sustainable forestry industry and related manufacturing is the most essential. Especially sustainable forestry management within the pulp and paper industry is significant since it can ensure the development of Indonesia’s economy at the same time preserving the treasure of rainforests. Three elements crucial to sustainable forestry management are (1) strong government leadership (2) zero tolerance for illegal wood with the implementation, and (3) NGO’s partnerships in active conservation program. - Strong government is necessary to ensure companies that work in the forestry industry to comply the government’s regulation. - When the government takes a firm stance toward the illegal logging, which is the biggest problem in the rainforests, it would have positive effect on preserving the ecosystems in the regions. - NGO's involvement in conservation projects could bring public's attention and lead to investment and participation in conservation programs. With these three efforts, Indonesian Rainforests which contain the world most diverse ecosystem could be saved. source: Gunawan, Hendra. "Preserving Indonesian Rainforests. "Jakarta Globe. 01 08 2011: n. page. Web. 27 Nov. 2013. <http://www.thejakartaglobe.com/archive/preserving-indonesian-rainforests/>. This lead to the development of various protected areas in large regions of Indonesia, such as Sumatra, and the formation of national parks, such as the Bukit Barisan Selatan National Park and Gunung Leuser National Park.. These forest areas were to be preserved for watersheds, conservation or limited production. Unfortunately, despite the government's attempts, massive deforestation continued to occur. Due to unfair nepotism and corruption within the government, much of Indonesia's lands were given as concessions or sold in business deals to large business operations. Businessmen, government officials, politicians and workers have gained large sums of money for the deforestation, urbanization and construction in the rainforests. Illegal logging grows rampant as the rainforests continue to be taken over by plantations and factories. Therefore, it has been difficult to prevent the rapid loss of these forests in Indonesia. Fortunately for these Indonesian rainforests, massive attention has been directed towards these areas due to its high levels of biodiversity and its role as home for many endangered species. Hundred of millions of dollars have been generated in international causes in support of preservation and conservation of these rainforests. Awareness is being spread due to the help of organizations such as Greenpeace International, Rainforest Action Network, the Indonesian Rainforest Foundation, RSPB, and more. Many documentaries have been made to spread awareness of the rapid loss of rainforests that have occurred in Indonesia. Tours. N.p. : Conservation International, 2013. Print. 2. Colfer, Carol J. Pierce., Nancy Lee. Peluso, and See Chung. Chin. Beyond Slash and Burn: Building on Indigenous Management of Borneo's Tropical Rain Forests. Bronx, N.Y., U.S.A.: New York Botanical Garden, 1997. Print. 3. The Economic Benefit of Palm Oil to Indonesia. Rep. Arlington, VA: World Growth, 2011. Print. Conservation 134.4 (2007): 495-504. Print. 5. Gunawan, Hendra. "Preserving Indonesian Rainforests." Jakarta Globe 1 Aug 2011. Print. 7. "Indonesian Rainforests." Rainforest Action Network. Rainforest Action Network, n.d. Web. 26 Nov. 2013. 9. Sukardjo, Sukristijono. "Indonesian tropical rainforests and climate change." Jakarta Globe 28 Aug. 2010: Print. We are a group of undergraduates who made this project for our Geography 5 class at UCLA. After having studied about a variety of diverse biomes, we found ourselves attracted to the rainforests in Indonesia and the critical environmental issues that it currently faces. We wanted to spread awareness of how amazing the region is and to draw attention to the dangers of pollution and the negative effect that people can have on our world's beautiful environment.